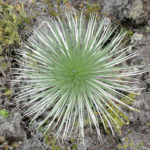 Argyroxiphium kauense (Rock & Neal) O.Deg. & I.Deg. 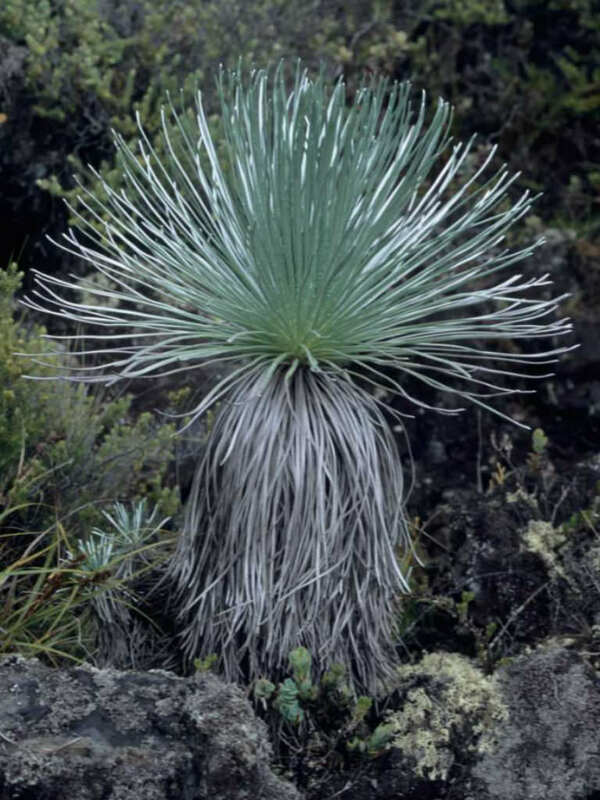 Argyroxiphium kauense is a large, long-lived, usually single-stemmed and strictly monocarpic shrubs, forming spherical rosette with numerous dagger-shaped, silvery, succulent leaves. 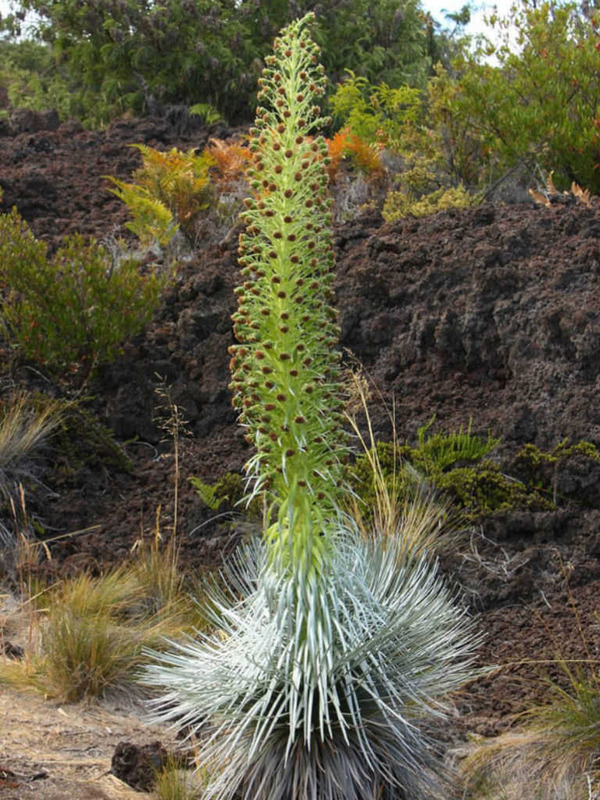 It grows up to 6 feet (1.8 m) tall and produces a tall multi-branched flowering stem. It is composed of 100 to 350 sticky short branches, each terminating in a single head with 50 to 220 disk flowers. 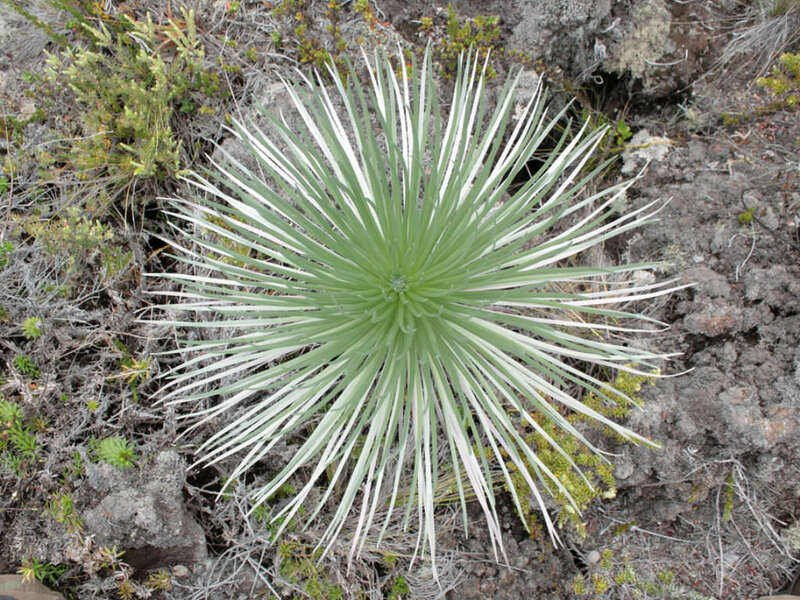 Argyroxiphium kauense is endemic to the eastern and southern slopes of Mauna Loa on the island of Hawaiʻi. 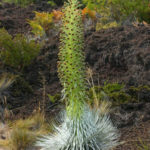 It occurs in a much broader range of habitats than the closely related and better-known Haleakalā silversword (Argyroxiphium sandwicense subsp. 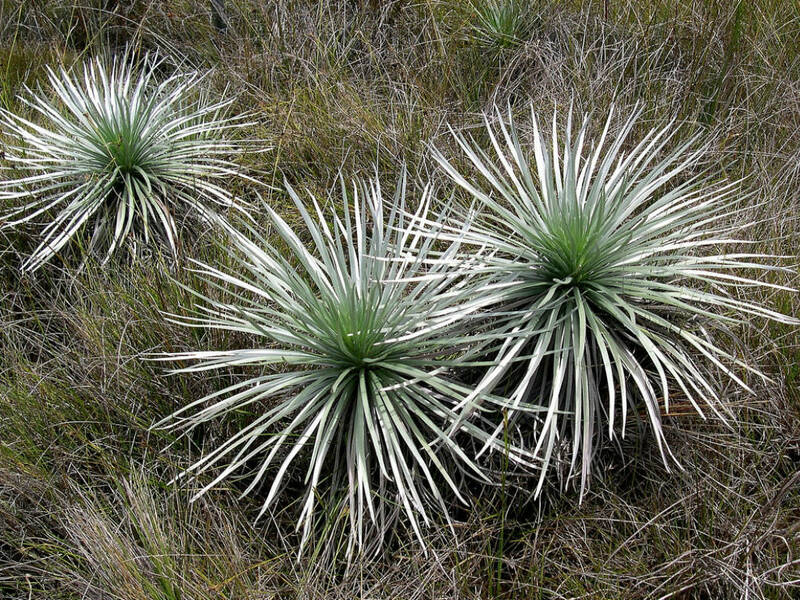 macrocephalum), and is found in montane shrubland, bogs, and open mesic forest. 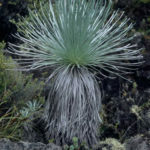 Although threatened by damage from feral pigs, goats, and mouflon sheep, most of the areas where it currently exists are now protected, and the species is actively managed by the National Park Service and Hawai’i State Department of Forestry and Wildlife. It is a federally listed endangered species of the United States. There are 3 known occurrences remaining, for a total of fewer than 1000 individuals. It the eastern and southern slopes of Mauna Loa on the island of Hawaii.